Initially I was thrown by the cover art of this book. Yes, I know, you should not judge a book by its cover, but it looked like someone took a still from an 8-bit graphic Dungeons and Dragons-type rpg game and blew it up until it got even more pixilated. Honestly, it made me think I would not like the book because it looked a bit chintzy to me, but reality turned out to be far different. This book was good! I love that it puts a female living in a “traditional” era into situations where she is forced to act “like a man”. As we learn more about Astrid and her tortured past, her ability to survive and thrive is even more impressive. I do not want to give away any surprises in the book, but when we learn why Astrid calls herself a monster, it shows the true strength in her character. Something I found quite interesting about this book is author Resa Nelson’s writing style. Fantasy novels can sometimes get bogged down with florid detail describing every last blade of grass, eyelash, and dewdrop. Nelson does not do this at all. While her brief descriptions add to the story, you never feel like she is going too far. In fact, sometimes she could stand to build up the scenery a bit more. Sometimes she tells important plot points quite bluntly, as if it were no big deal for a person to shape shift or drink lizard blood. The rules of this land are laid out there, and you can like them or not. As far as the story itself goes, I enjoyed it, though the frankness of Nelson’s writing occasionally made me think I missed something somewhere. I didn’t, some things really were just blurted out with no warning. There is some disconnect for me because of this. The love between the dragonslayer and Astrid is strangely not discussed in detail, even though it is a main driving force in the book. How can I believe their love if it is never talked about? Despite all this, I really did like the book and I was looking forward to reading the second in the series. There is nothing too gory or sexual in the book unless you have a really vivid imagination, so I can easily recommend it for any age. The short chapters might make this a fun book to read to a child in later elementary school or give to a middle schooler. Way better cover art. Ha! 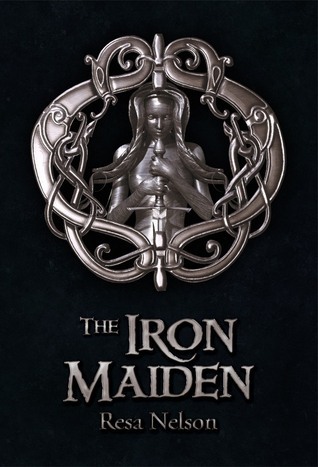 The title of the book sparked of either heavy metal music or medieval torture devices… but in the long run, it is actually appropriate to the theme of the second book in the Dragonslayer Series by Resa Nelson. I enjoyed the second in the series much more than I did the first. I cannot exactly put my finger on why, but I think the author did a much better job of building Astrid’s character. It has better flow. She also digs deeper into other female characters in this book, exploring the roles of gender and the internal growth it takes to be confident in your own skin. Her books would definitely be encouraging for younger girls, especially ones who tend to sit on the fringe and not follow the norm. There is one thing that confused me in this book: the need to travel the “Winter Route”. I felt like Nelson underemphasized the importance of this journey for a dragonslayer, which meant that the rest of the book seemed to be totally separate from the original setup of the story until the very end. Even though it “all comes together” – we never really get a clear picture of why that winter route is so crucial. I attribute this lack of detail simply to the writer’s style. As I mentioned in the review of The Dragonslayer’s Sword, Nelson does not waste time on explanations, and sometimes that can leave you hanging. This is not a reason not to read the book, just something you should know going into it. It feels like detail is missing. There was one bit that truly bothered me about the book, and that is the “relationship between dragon and dragonslayer”. The author mentioned it in book one, emphasized it multiple times in this book, AND NEVER EXPLAINED IT! You get to the end and think, okay, so why are Norah and Astrid connected? What does it matter? Why didn’t you tell me when it really sounded like you were going to tell me?! You said they could die!!! 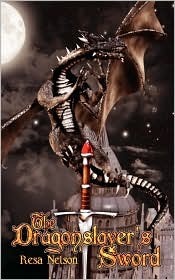 Hypothetically, that will be left to book three, The Stone of Darkness, due out in June of 2012. Although I enjoyed the book, it could stand alone, and I do not necessarily feel compelled to read book #3. Sometimes when you read a book in a series, you get very anxious to move on to the next one because you are so swept up in the plot. I do not feel that way about the Dragonslayer Series. Even though I would like to see what happens between Norah and Astrid, and would gladly read #3 if put in front of me, I am not going to be salivating until June. I like them, I enjoyed them, I looked forward to reading a few chapters every night, and I would recommend them to you for light entertainment but it is probably not something you will force everyone you know to read. There is something to be said when a sequel gets more love that the first...it's usually the other way around...YAY for a sequel that did great!